Deacon's sculptures employ curvilinear forms made from a wide range of materials that are more traditionally associated with the manufacturing of industrial and domestic products. The works display both the method of construction and the craftsmanship involved in their making, through the surface details of screws and rivets, stitching or gluing used for material such as galvanised steel, corrugated iron, cloth, leather, linoleum and laminated wood. 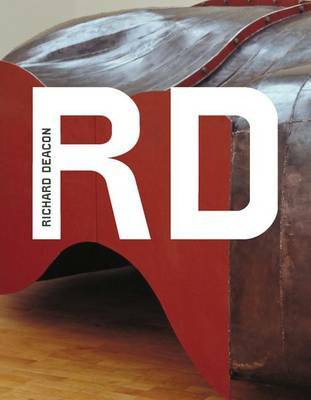 Published to coincide with a major exhibition at Tate Britain, this next volume in the Modern Artists series addresses key aspects of Deacon's career, beginning with his early performance-based work such as Stuff Box Object - an experimental piece involving him climbing into a box, bolting himself inside, experiencing the interior space, climbing out and then working with plaster on the exterior of the box. Since then he has produced a highly coherent and yet diverse body of work in sculpture, combining natural forms with an industrial sensibility, ranging from the domestic scale of his ongoing Art for Other People series to monumental work for public commissions. As with other volumes in the Modern Artists series, a key feature of the book is the interviews, here undertaken by Penelope Curtis, Director at Tate Britain. Six themes are explored, bring the sculptor's thoughts and processes vividly to life.